GER3's Brennan Banks and Drew Souders arrived in Sint Maarten with assistance from the Dutch military to respond to Hurricane Irma. A rapid ground assessment confirmed information that the team had gathered prior to departure - 95% of the structures on the island were affected by the hurricane, with widespread devastation across the island. The at-risk communities of Cay Bay, Cul-De-Sac, Middle Region and Dutch Quarter were among the hardest hit, as well as areas along the Philipsburg waterfront that received a direct hit from Irma. 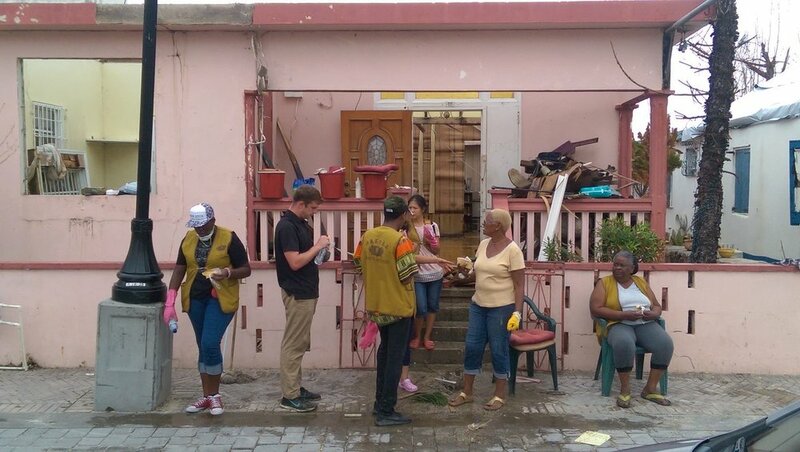 In direct consultation with affected communities, the national government, U.N. partner agencies and key operational partner Tzu Chi Sint Maarten, GER3 designed two rapid recovery interventions to help the people of Sint Maarten in the wake of the storm. First was the removal of debris and cleanup of the Leonard Conner School in Cay Bay where nearly 300 students and teachers were waiting to reclaim and reopen the school. GER3 also oversaw debris removal from the home of an elderly woman and her disabled daughter on the Philipsburg waterfront. 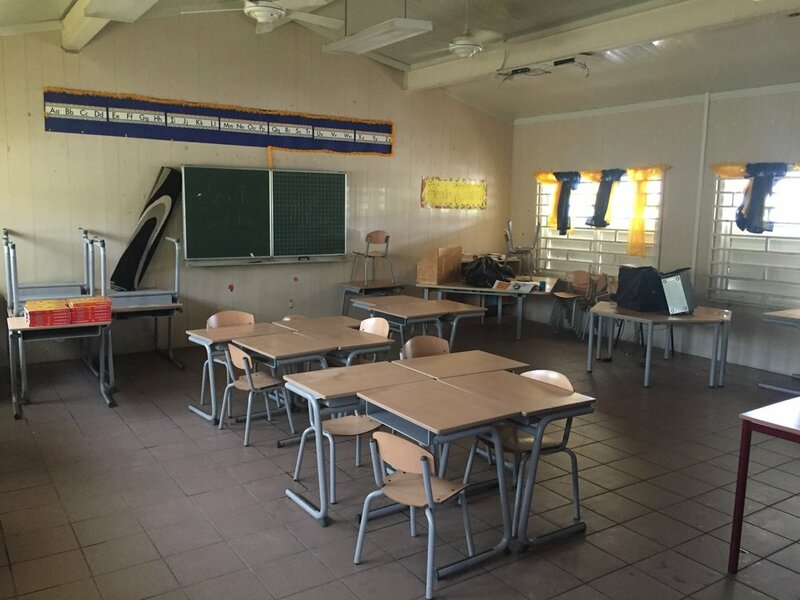 Leonard Conner School Recovery - GER3 worked with 12 Tzu Chi volunteers to restore nine classrooms at the Leonard Conner school in Cay Bay. When the team showed up to assess the school each of the classrooms had a large amount of debris leftover from the storm, as well as standing water that acted as a perfect breeding ground for dangerous mold and mosquito larvae. Left any longer the mold would likely have spread to the wooden school walls, creating serious health issues for the children and likely resulting in a larger, more expensive reconstruction effort. The team's efforts will help students return to safe, clean classrooms by the Ministry of Education's target date of October 2nd. Front Street Home Recovery - GER3 once again partnered with Tzu Chi on Monday, November 25th in order to clear debris from an elderly woman's home on Philipsburg's front street. Maisie's beachfront home has been in her family for generations, and survived over five hurricanes. Irma, however, ripped off the roof of the entire front of the house, knocked out the metal window gate of the front bedroom, and left the house in general disarray. The team worked throughout the afternoon to sweep out standing water from the home, remove debris, and load debris onto a truck for disposal in the Philipsburg landfill. The team would like to thank Sandra Chu and Tzu Chi for the organization's incredible support throughout the deployment. GER3 also thanks IOM, UNDP, the Sint Maarten Government, the Netherlands Red Cross, the Dutch military, and all other organizations that helped provide the team with information and resources while on the island.